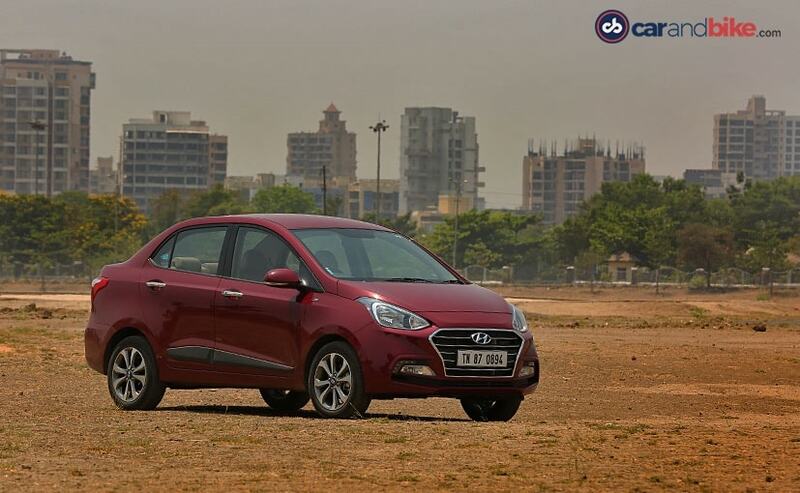 The Hyundai Xcent receives a proper facelift and it's not just a cosmetic update but an overhaul of sorts. There's a new diesel engine too and a ton of features. We drive it to find out more. 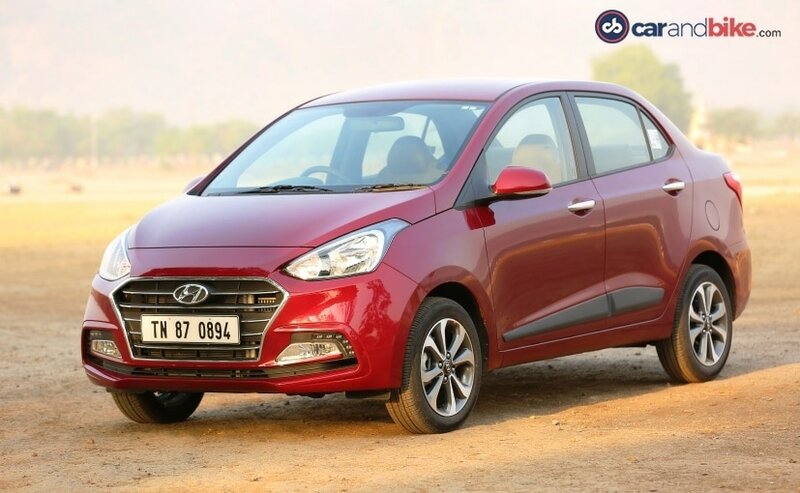 The 2017 Hyundai Xcent facelift enters a segment where change is the need of the hour as new entrants are constantly innovating may it be Volkswagen, with the feature-packed Ameo, or Tata with the Tigor; each one of them stands out, with unique cars, in a segment, where a few more entrants expected this year. 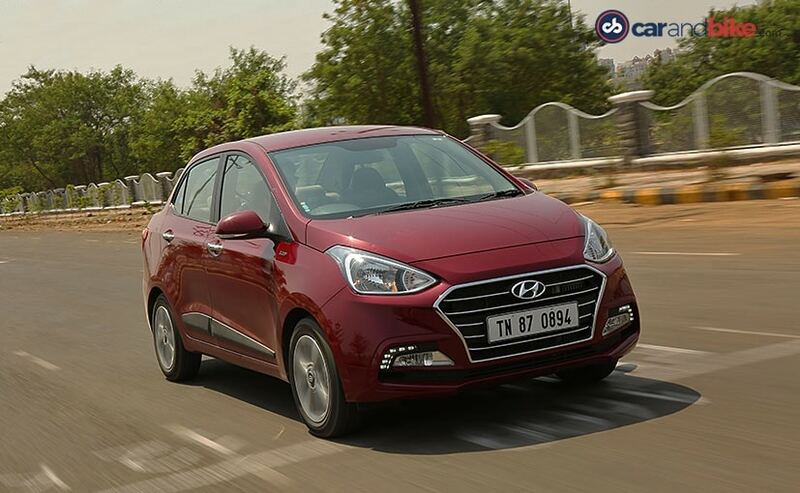 The once booming subcompact sedan segment finds itself battling against some of the premium hatchbacks as also sedans and that’s why we see a bid across the board, to revive the subcompact sedan segment in India; and well, we’ve driven the latest in the segment, the facelift Hyundai. Though Hyundai calls it a facelift, it's not JUST a facelift, rather a proper update and we've already told you quite a lot about it. There’s a lot that’s new on the Xcent - both inside and outside. It gets a new front bumper, new fog lamp housings, LED DRLs, redesigned headlamps and new wrap around tail lamps. The shape of the bonnet has been refined and now looks eloquent. But, it is that front grille that puts a smile on your face. Hyundai’s taking the top to bottom approach, with its signature design of the front grille, and the Xcent is not left behind. The front grille is a value addition to the Xcent and is what distinguishes it from its younger brother – the Grand i10 and yes, it fits into the scheme of things, making it look more proportionate. In fact, the redesigned tail lamps too add their bit, to this endeavour. 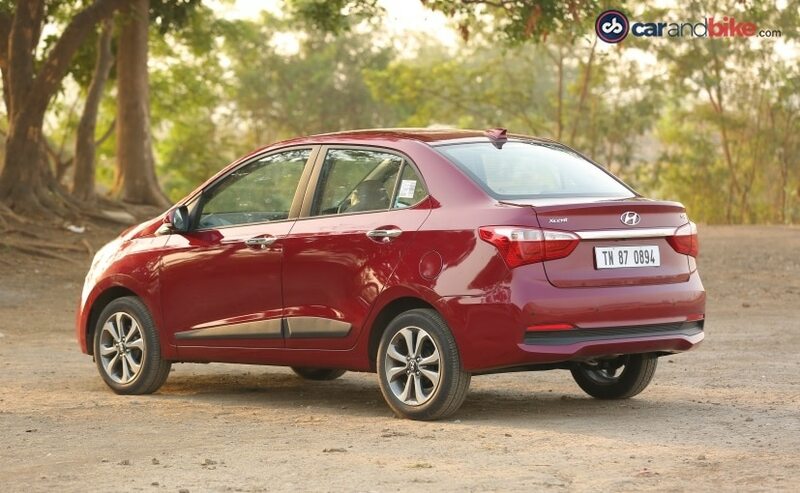 For those who thought that the tail lamps on the previous car were a bit small, well Hyundai has taken that bit of annoyance and worked on it, making them look better and, more so, proportional. The 15-inch diamond cut alloy wheels too add their bit to the car’s overall appearance; and this time around, the Hyundai Xcent will make you turn around that one more time, to look at the car. 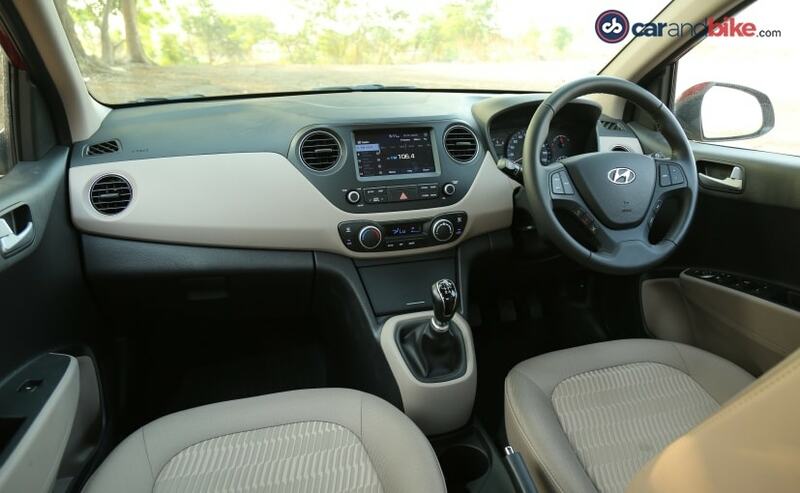 While the changes, in the design of the new Hyundai Xcent, will make you nod with appreciation, the cabin too will give you something to ponder over. While the changes inside are marginal, you get a new dual-tone dashboard. However, the most important feature addition is the new 7 inch touchscreen infotainment system, which is only available in the higher variants. The new touchscreen is extremely intuitive and also does not allow you to pair your phone, via Bluetooth, when on the go (an extremely important feature, which minimises driver distraction). 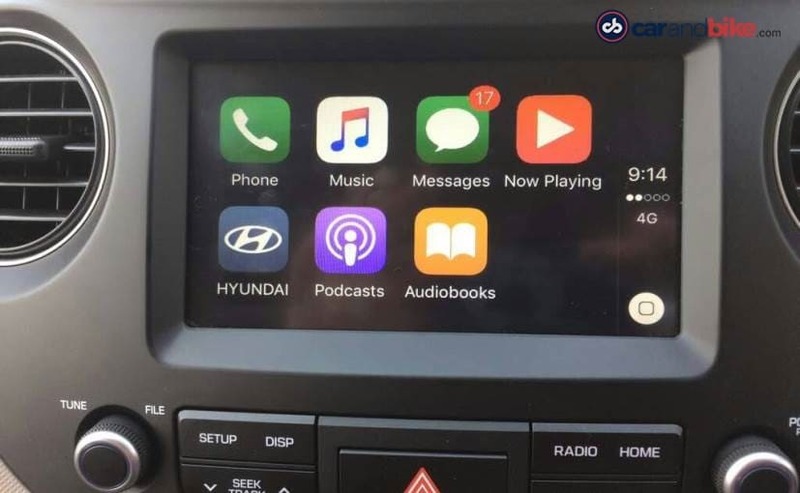 You additionally get Android Auto and Apple CarPlay connectivity options, as also MirrorLink, which are a nice addition in the new Xcent. There’s driver's seat height adjustment, new fabric upholstery, automatic climate control, glovebox cooling, electrically adjustable ORVMs and even steering mounted controls. While flipping through the dials, on the instrument cluster, you realise that they don’t show range/DTE (Distance to Empty) and this could have been an addition over the previous model. The cubby holes are ergonomically paced and there’s enough place to stuff your coffee mugs or a bottle of water. The rear AC vent on the Xcent makes life easier for the co-passengers and comes in handy, during summers like these. On the safety front, all variants of the Hyundai Xcent now get dual front airbags as standard, but sadly the base trims miss out on ABS, which was offered on the previous model. 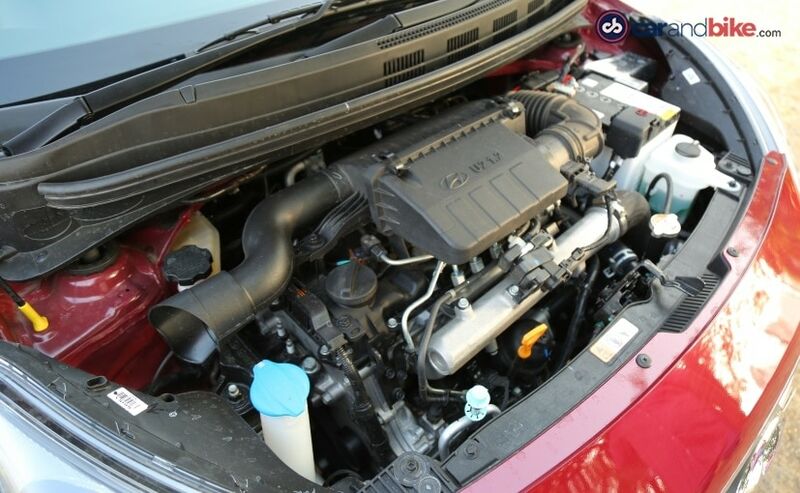 But the ‘X’ factor for Hyundai Xcent is that new diesel engine and we got to sample it. There’s a 1.2- litre diesel engine, under the bonnet, and it's got 2 bhp more than before. 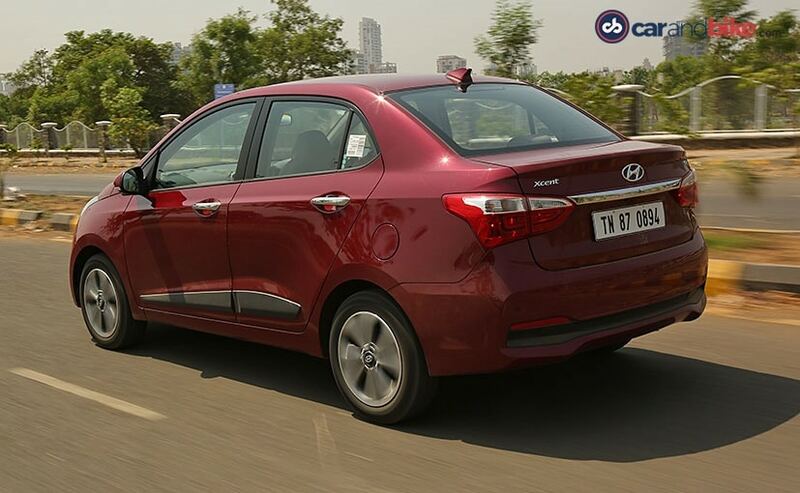 It’s the same unit that does duty on the Grand i10 and churns the same amount of power. There's 74 bhp on offer and the torque on offer is the same too, but the engine now feels eager to go; and though there is a bit of lag, once you cross the 1800 rpm mark, peak torque kicks in and there’s power, at your disposal. The gears slot in well and the light clutch makes life better, in stop start traffic conditions. 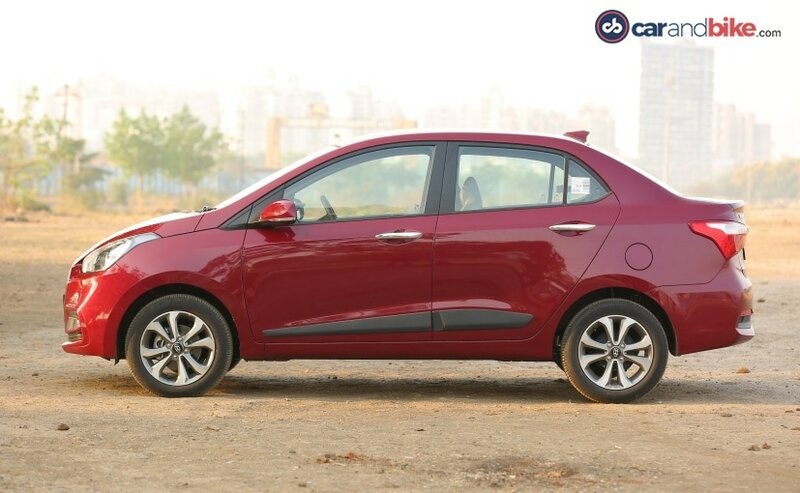 Hyundai claims that the new Xcent returns a fuel efficiency figure of 25.4 kmpl and that’s great considering that it’s peppy, and not lazy, off the line. Mind you, it’s not a drivers’ car yet, though the steering has been worked on and now doesn’t feel artificially engineered as before and that’s a big take away. The Hyundai Xcent facelift is a welcome change then, in the subcompact sedan segment, and with prices starting from ₹ 5.38 lakh, going all the way up to 7.01 lakh for the petrol model and ₹ 6.28 lakh to ₹ 8.41 lakh for the diesel, Hyundai has slashed prices for the base model at least, while the rest of the variants see a distinct hike. However, that price for the package you get is pretty good and the Xcent might tilt the balance, in Hyundai’s favour, in the subcompact sedan segment, but Maruti Suzuki is gearing its challenger, in the wings, and we’ll know more about it soon.